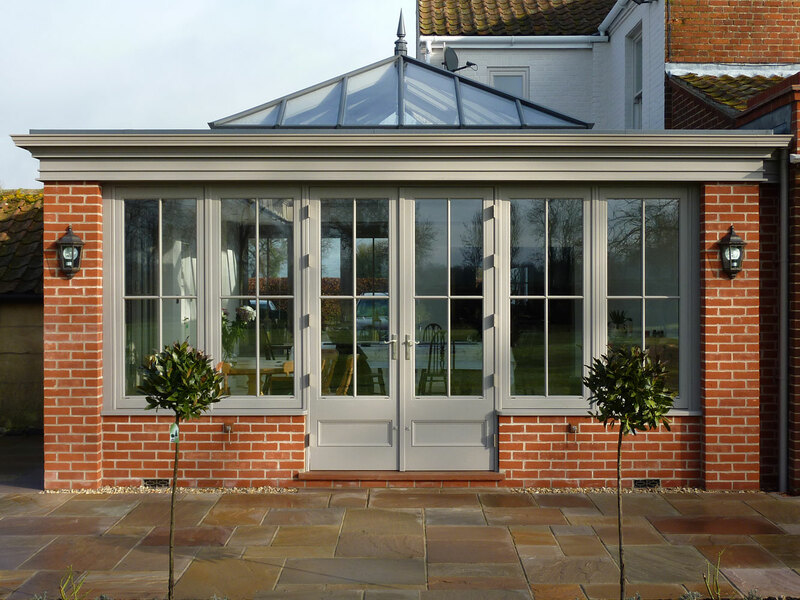 Our beautiful perimeter edge fascias (with guttering) and entablature can be applied to transform an otherwise plain extension into a building with a level of elegance and gravitas that truly reflects the essence of an orangery. 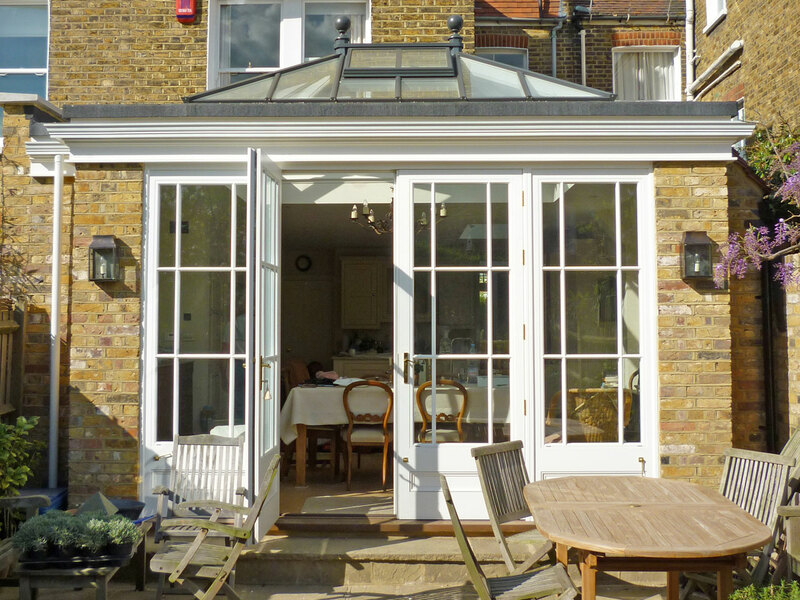 We have developed two types of orangery fascia. The first, 'The Bloomsbury', is perhaps more suited to smaller, townhouse projects being a little lighter in appearance. The second, 'The Cavendish', is substantial in its architectural detailing with a marked projection making it particularly well suited to large scale extensions. 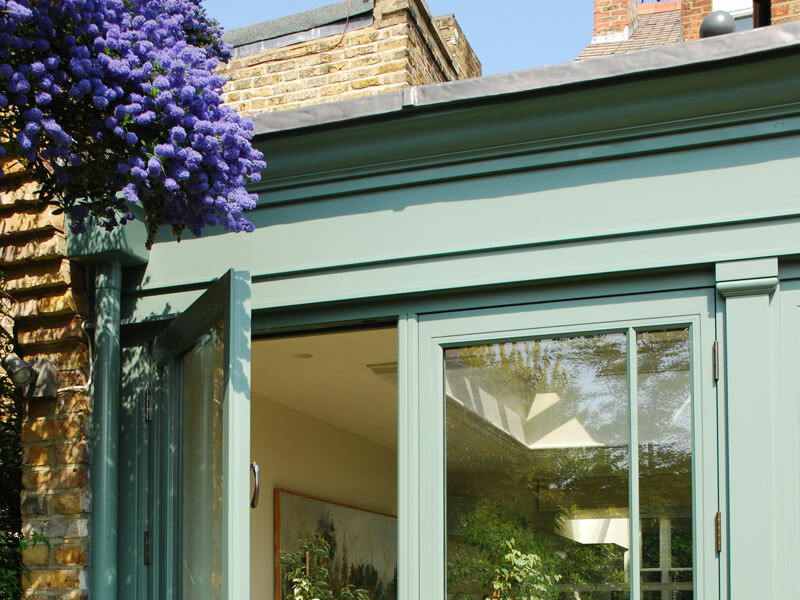 In addition, the fascias also hide the junction between the flat roof and masonry elevations, significantly enhancing the overall refinement of the design. If you are wishing to extend the wall-frame above the flat roof line in the form of a parapet you may like to consider 'The Berrington' entablature designed to face the perimeter edge as a decorative feature. 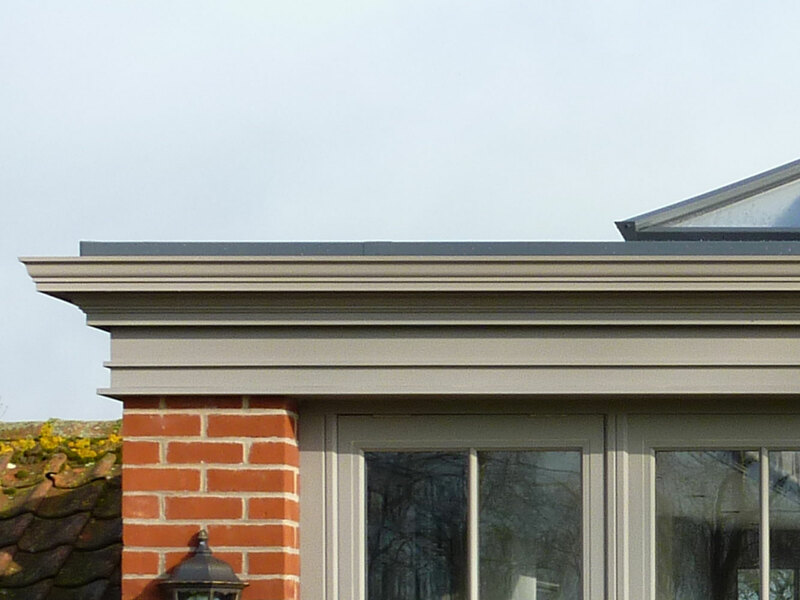 Our generous depth profiled fascias come complete with gutter support moulding, bottom edge drip moulding and heavy cast aluminium cornice guttering. 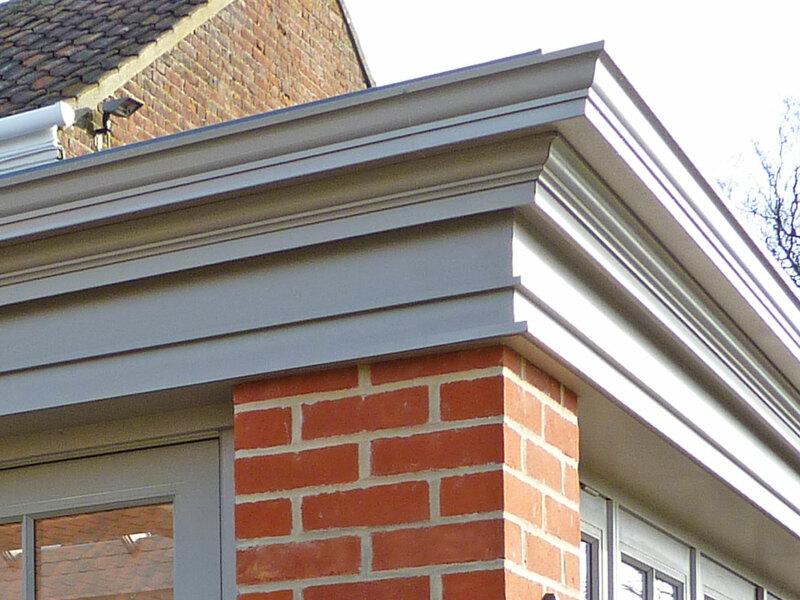 As standard, the fascias can run up to a depth of 400mm but we can also manufacture up to 600mm. In this instance, an additional intermediate drip moulding would be added. The principal construction of the fascia board is in Medite Tricoya Extreme. This is a completely new, high performance timber product using acetylated wood technology and a modified fibreboard manufacturing process. 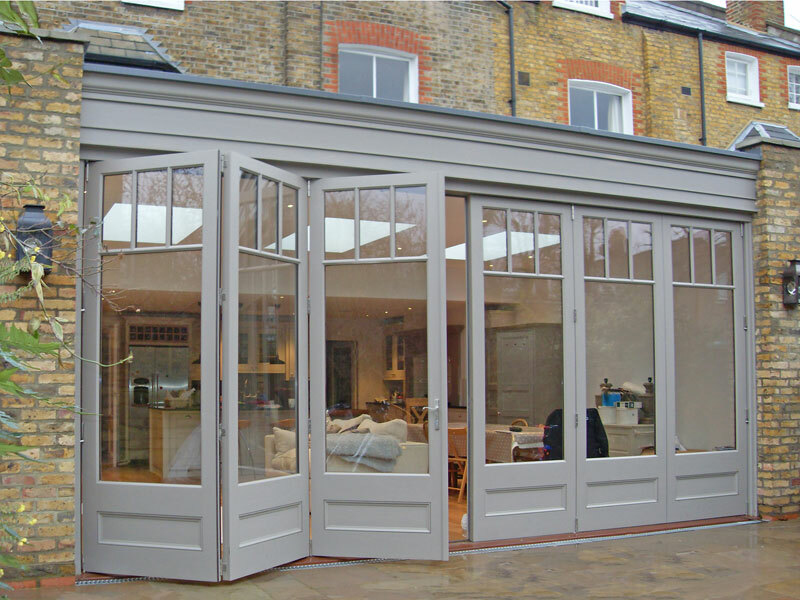 The accompanying gutter support moulding and bottom edge drip moulding is in Accoya, a leading acetylated long life wood. Both timbers offer outstanding durability and performance, ideal for outdoor use and high moisture conditions. Both timbers are FSC accredited. 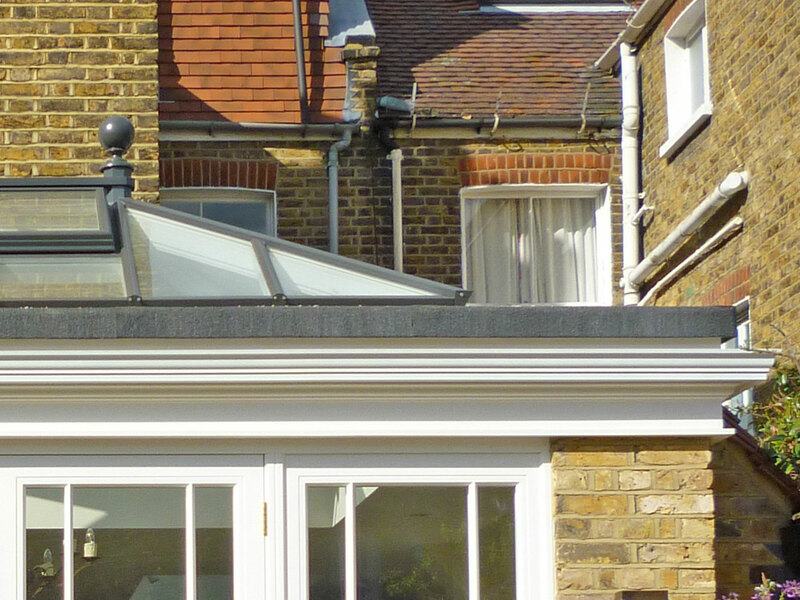 The cornice guttering is in heavy cast aluminium. Beneficial properties include its superb durability and long life expectancy (non-corrodible). The topside of the entablature is prepared ready to receive traditional tucked and welted code-5 lead as its weathering finish (by others). 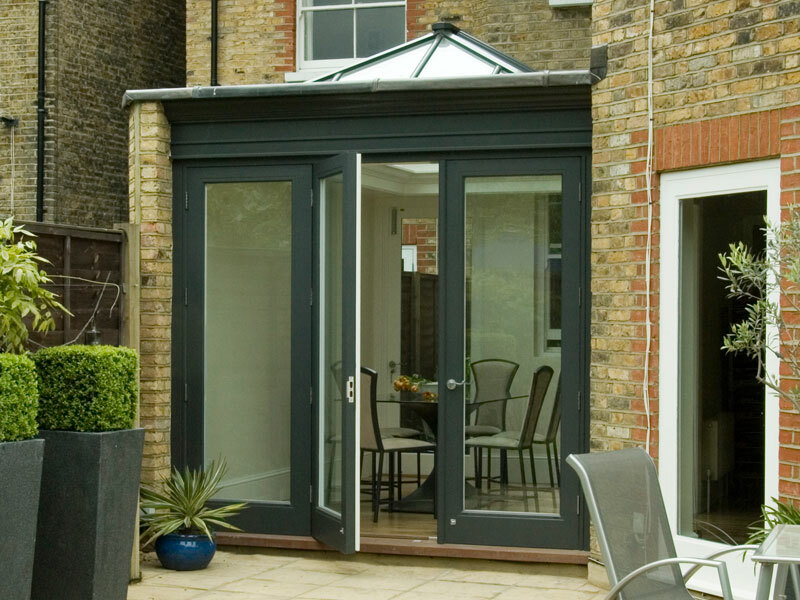 As standard, the entablature can run up to a depth of 400mm but we can also manufacture up to 600mm. The principal construction of the fascia board is in Medite Tricoya Extreme. The topside, accompanying support moulding, intermediate and bottom edge drip moulding is in Accoya. 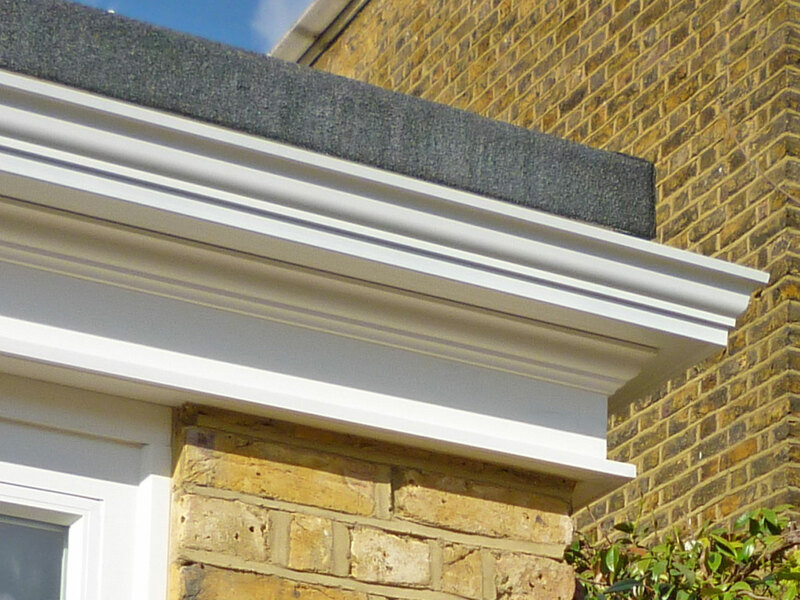 Our fascias and entablature are available as supply only. Please contact us for a quotation or fill in a simple form.